Home » 2017 Performers » Maggie Pope – Kid’s Music Performance! Singer/songwriter, Maggie Pope, is an emerging artist who delights listeners with her simple melodies and heartfelt lyrics. 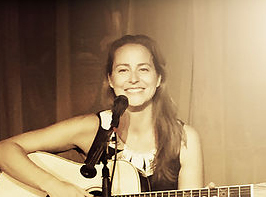 As a mother of four, she has come to fully appreciate the beautiful connection children have to music, and now also offers music that combines her love of children, education, and folk music into an experience that people of all ages love! Traditional folk tunes, story telling, and sing-alongs give children an opportunity to explore sounds from American, European, and African traditions. Maggie’s fun, engaging programs reinforce the concepts of beat, rhythm, and melody to children while introducing them to the rich musical heritage of our country.